Maybe it's not your REALITY, but it's MINE! : Moved, Settled and been to the BIG city! We have moved, settled... Been to the Biggest Children's Hospital we have ever seen (3rd largest in the U.S.) and saw a new Epileptologist. We moved to Alabama, and have adjusted to a lot of changes pretty well so far. We are in the city, never lived in a city like this before! A big shock and change for us, having been primarily in the country for the last 20 years! Had a visit with a new Epileptologist, that was "interesting." A bit different than what we have grown accustomed to. with. I will remain positive and keep pushing through until the testing is done, and we feel the new facility out a little better. I did manage to get a copy of Brett's 10 minute Complex Partial picked up in N.O. 's EMU, although it's just the EEG and not him like I wanted. We successfully weaned Brynn of Zonegran and switched to Fycompa, a new drug. Brynn's random jerks have returned, we are unsure if it is a seizure type or a side effect only the test will give that answer... 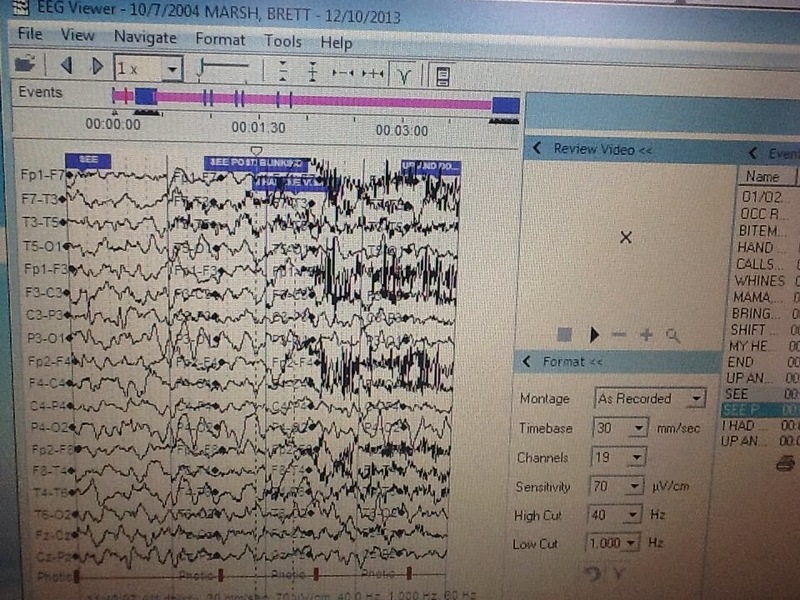 He is overdue an EEG to look at activity/background , so it will be good to have another, and an extended EMU stay can catch so much more than a shorter stay too. The drawback is that it is outside their normal envirement, and sometimes that makes it harder to catch seizures. 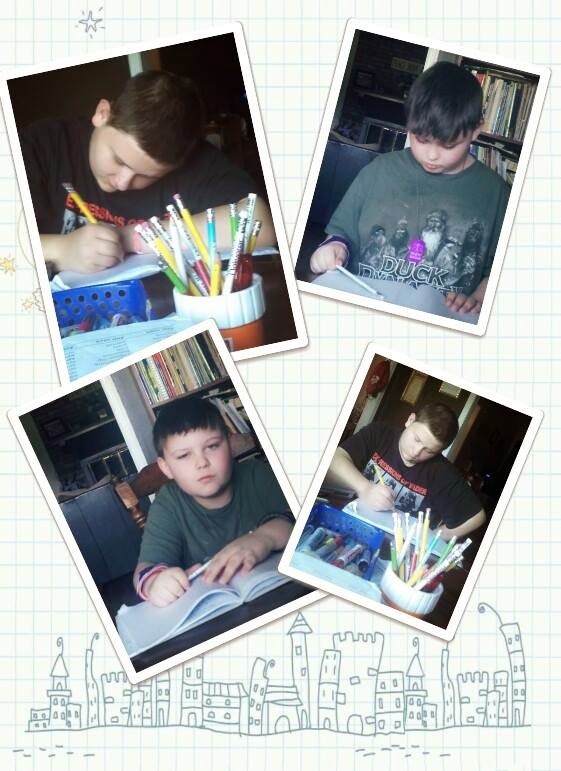 Brynnon is still going strong, having his better than ever baseline of seizures. Not exactly sure whether to give the credit to the VNS or Onfi... or even both, but we are very grateful for the reduction! 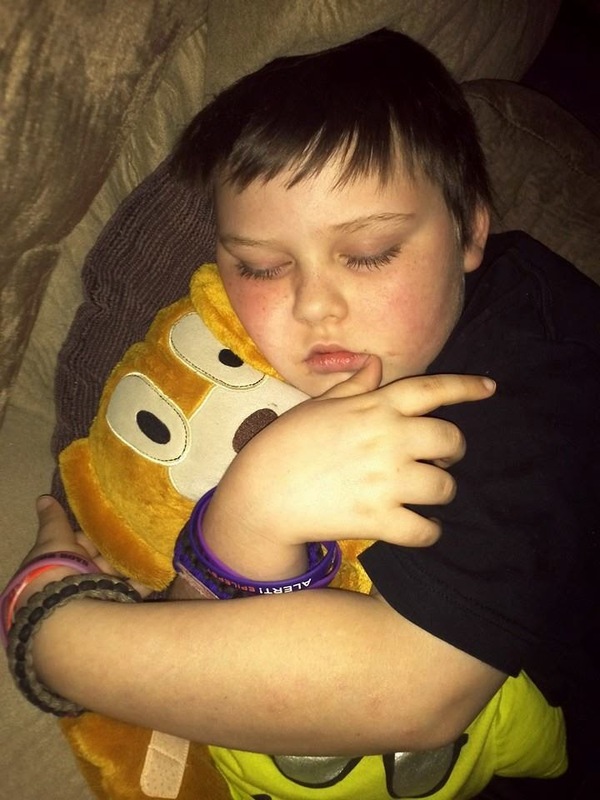 Brett, who had been doing a bit better seizure wise, developed heat intolerance and gets a fever when he goes outside. It is a side effect of Topamax so we added Lamictal and tried to wean the Topamax, only to see a return of the constant visual auras, tummy auras and the longer Complex Partials. We raised it back, but haven't been able to get the same level of control yet. Brett is having somewhat of a good response to the medications he is currently taking. 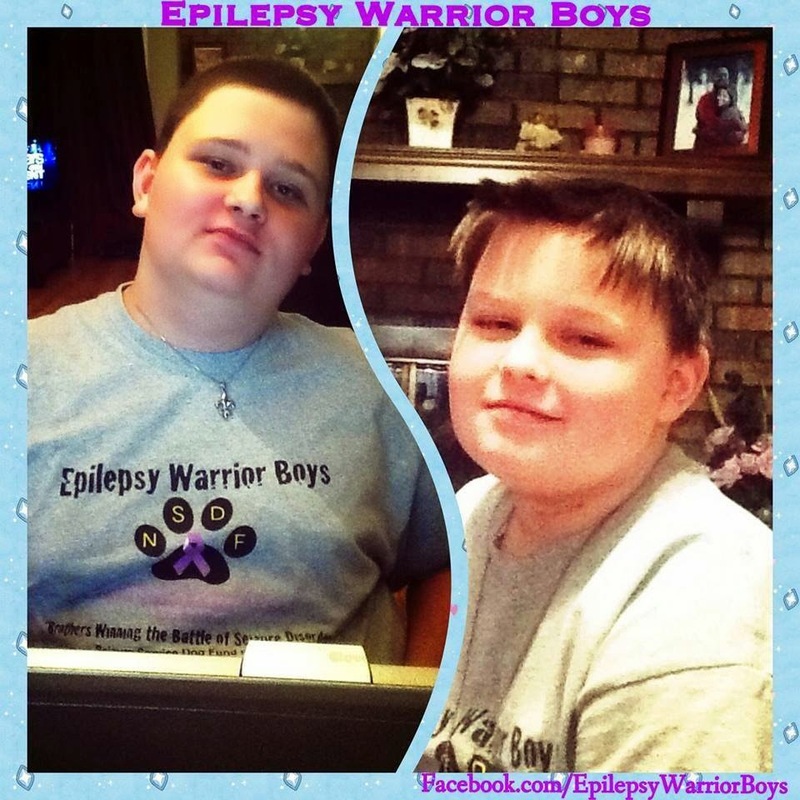 We are seeing a lot less fear involved in the seizures and they are much less dramatic. Actually, they are a lot like Brynnon's daytime seizures now. Brett's nighttime activity is still much better as well. 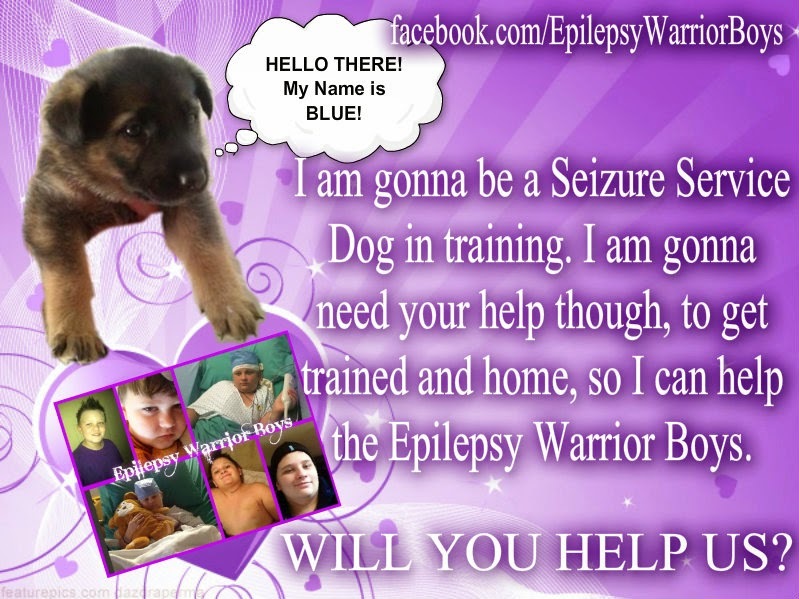 We have picked a trainer and are fund raising for a Seizure Service Dog. Her name is Blue! We were inspired to name her Blue after hearing the song Blue Does, By: Blue October. She is a German Shepherd and will be trained by Guardian of the Night K9. She will be trained to alert for seizures, assist the boys when postictal and so many other things! We are pretty excited about Blue! We have already raised her deposit and only have $3,500 left to get her trained and home! I bet we will all sleep better with Blue in the house and finaly not feel on edge all the time! She will be an official, vested, certified ADI Service Dog and will go everywhere we go! So, there ya go... an update! Short and sweet, just the way you like them! As always, thanks for your Love, Prayers and Support! !